Extra time has been put aside for people in Aberdeen seeking advice about citizenship and visas, a UK Government minister has said. The Bank of England has ordered credit card giant Visa to appoint accountancy giant PwC to help avoid a repeat of an outage that caused chaos last year. Citroen has unveiled its petite AMI One concept car at the Geneva Motor Show – and it’s not actually a car at all. 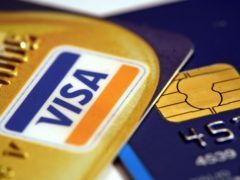 Visa has increased its offer for British payments firm Earthport as its takeover tussle with rival Mastercard continues. Mastercard has trumped rival Visa with a higher offer for British payments firm Earthport. A historic trust in the north-east has now made it possible for people to make contactless donations. 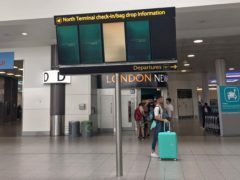 The screen failure at Gatwick Airport earlier this week is proof that technology can’t always be depended upon. Visa has apologised after a system failure prevented card payments across the UK and Europe. A north-east teacher is to leave the UK after her husband was refused a visa. Four men have been arrested in a raid at a North-east takeaway. A Fife man’s dream of Christmas with his pregnant wife in their new home has been dashed – because her language qualification for entry to the UK is too advanced. Some three billion contactless card transactions have been made across Europe in the last 12 months – with UK consumers being among the biggest users of the technology – according to figures from Visa Europe. A MUM set to be deported and separated from her family in Australia has had her visa extended. A NORTH-EAST man today said he "desperately" wants to come home with his new wife, following a visa row. AN ABERDEEN mum set to be torn apart from her family in Australia has been overwhelmed by the support she has received. AN ABERDEEN woman today spoke of her heartbreak at the prospect of being torn apart from her family.